Made of poly carbonate. 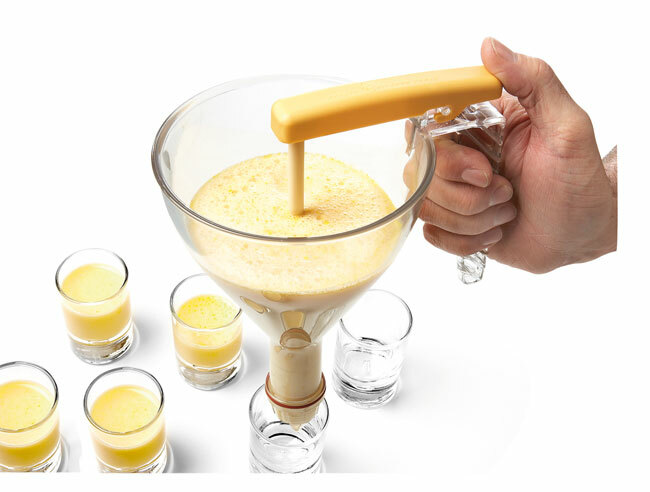 This funnel guarantees precision portion control and refilling of liquids, such as alcohols, jellies, coulis, sauces, creams, etc. Dishwasher safe. Supplied with chrome-plated wire stand. 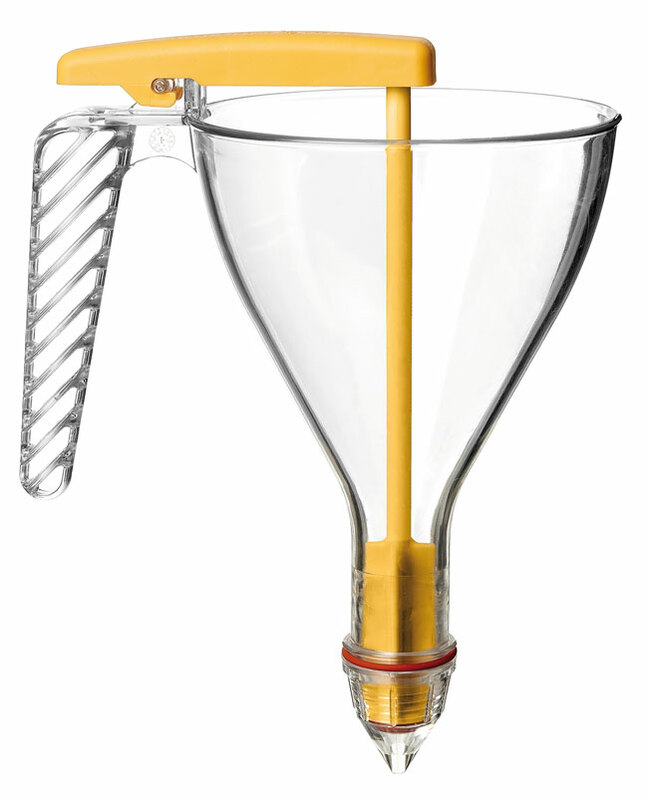 Poly carbonate Automatic Funnel. Comes with one nozzle and can use Matfer nozzles #167300 to 167430. Precise dosing with thumb action. Mechanism can be dismantled for easy cleaning. Ergonomic handle.Watertight joint. Perfect visibility when filling. Screw fixing 1/8” diameter. Comes with one nozzle Ø 1/6”. Stupplied with stand.